100m (13.2)The schools championships also took place on Saturday with athletes trying to achieve the qualifying standards for the English schools championships next month. Ed Latimer won the IB 400m Lancashire title at Wigan in 50.9 with Joe Milton winning the IB 400m Merseyside title at Bebington in 51.9.This was an outstanding return in one day for the training group of Tricia Farrell & Ray Twentyman. High jumpers, Kai Finch (1.75m)and Owen Southern (1.60m)continued their dominance of the U15 age group with a gold & silver at Bebington. Sadie McNulty also took silver (1.40m)in the U15G high jump. Dominic O’Hanlon took gold in SB long jump (6.04m)& triple jump (11.70m) and Matthew Low bronze in IB triple jump (10.89).Evelyn Smalley was 3rd in IG long jump (4.42m)& will be pleased with her 27.3 sec time in 200m. Erin Birchall (JG)ran 14.1 in 100m & recorded 4.43m in long jump. 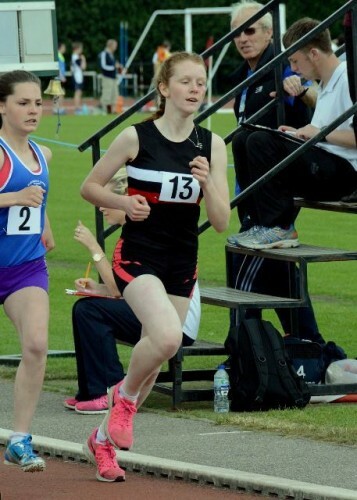 Matty Richardson (IB)ran a well judged race to win gold in 800m (2:06.4) and Emily Brough (6G)revealed her potential with a win at the same distance (2:36.2). 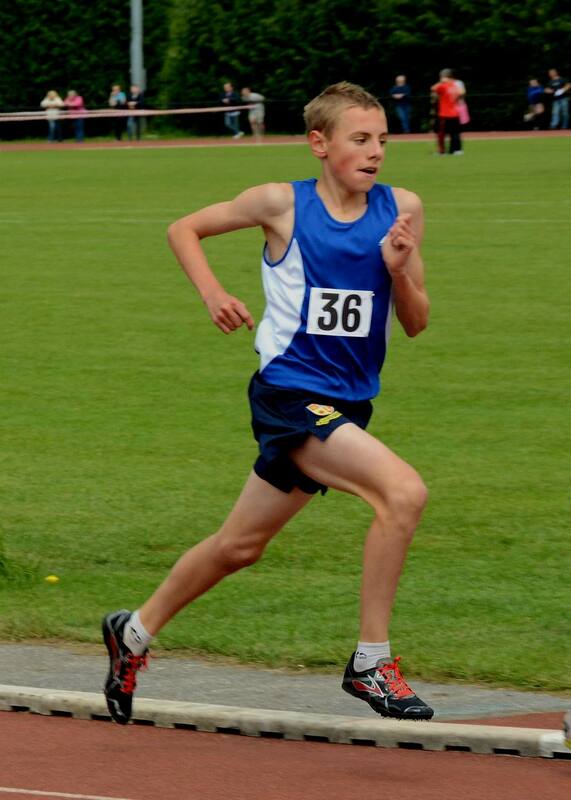 There were pb’s set by Joe Houghton JB 800m (2:24.1)& Joe Martin IB 1500m (4:44.2)while twins Alex (2:36.7)& Megan (2:37.7)Barnsley both recorded season best performances. Jade Murphy JG High Jump (1.57m) and Ed Latimer IB 400m (50.9).in addition, there were victories for Flossie Dickinson IG 1500m (5:23.7)and Lucy Townson IG 300m hurdles (57.1).